i am soooo excited to start working on this!!! I look forward to your new posts on here and on fb, love all your patterns!! YAY!!! Thank you for sharing!!! Awww … so cute, Sarah! Love it! THanks so much for the share. I just checked yest if you have this pattern and was very upset I cdnt find one. TOday you have uploaded. THanks a bunch. Your patterns are so helpful and you do an amazing job. Cute! Cute! Thank you Sarah! Guess who's getting these…my grandkids!! When your doing the ears, Do you put the pipe cleaner in between the layers?? This hat is soo cute!! Thank you – I love it. I hope to have it made by the end of the weekend! oh so cute!! always love your patterns, so kind of you to share and also love you fb page too. I love your hat patterns! I am having a problem with the sizing guide you use. When I use your guide the hats are usually too small for the age and have to bump up the size and use larger hooks. any suggestions on what I could be doing wrong? Boa tarde a amiga.Um ótimo final de semana é o que desejo a você. Dei uma passadinha rapida,só para deixar um comentário. I love your designs. I'm excited to be able to try this one out… hopefully soon! You also make me want to try out Vanna's Choice yarn. I've seen it in Hobby Lobby, but I've never picked it up to try it out. 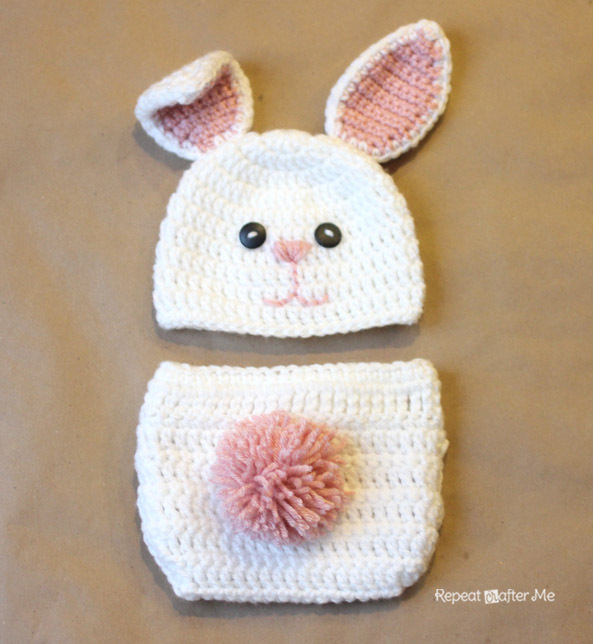 Maybe this weekend I'll pick some up to work on a rabbit for my new niece or nephew that is on the way! Is there a knitted version? Yes, I would love to see a knitted version, too. I want to make it for my 4 mo old! That is absolutely adorable. You are super-talented! Thanks for sharing! Super Cute!!! Love all the things you come up with!!!! Love your tutorials! And your blog! Thanks! Walmart carries the black buttons in the fabric area. Help.. How do we get the ears to stand up.. I am horrible at sewing things together..
I’m having this same issue!!! We’re you able to figure it out? This is an awesome pattern. It was EXTREMELY easy to follow. 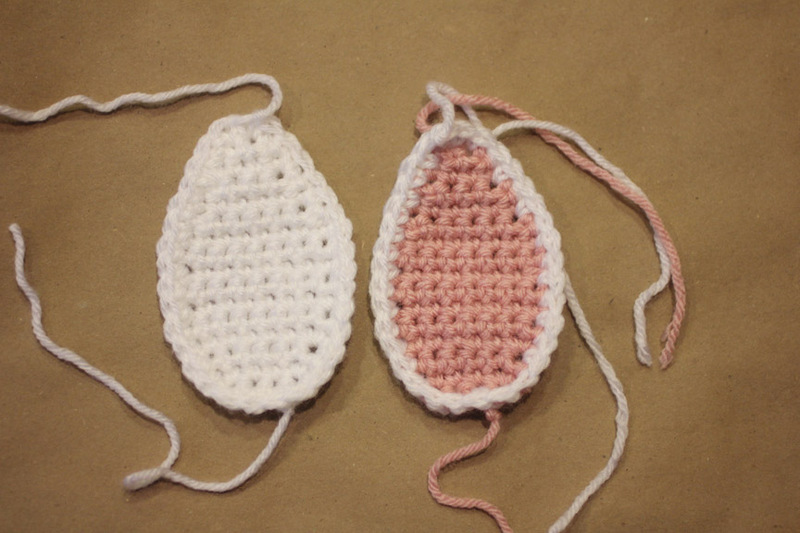 The tips you included made it very easy to crochet these up in an afternoon. I made them for my six month old twin girls for their first Easter and their six month pictures. The sizes worked really well. I tried many patterns before this one, and this is definitely a keeper. Thank you so much! Loved the pattern, I used a bit of a bulky yarn for it but just decreased a few rows and it worked perfect. Turned out very cute. Pattern was easy to follow as well…thank you for sharing! Do you think a piece of stiffened felt cut to size inside the ears would work? Just love this pattern can't wait to make it thanks so much.. but could someone tell me what it means for the Magic Ring? If you do a Google search for Magic Ring, you can find instructions. Here's the page I used. http://www.crochetme.com/forums/t/28917.aspx Instead of having to know exactly how many to chain to form a starting ring, you can make a starting ring that then can be drawn closed once you have your first round of stitches worked into it – kind of like a drawstring. Hope that helps! I find all mine running small… Anyone else having this issue? thank you this is just beautiful!!!! Thank you for the patterns and all the good job, I love your work. This is so cute. I saw this pattern yesterday and I made it right away. Thank you so much, I love your blog!! I absulutely hav fallen in luv with all your patterns. This hat is so stinkin' cute. I made the hat and diaper cover (changed slightly; strap was too short, or maybe I was crocheting too tight)a few days ago with a light gray and light blue/gray yarn. It turned out so cute. I was planning to put on a face, but it's so hard to find the right buttons. Oh well. Love your patterns. 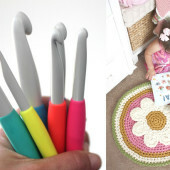 Keep on crocheting. Your hats are simply adorable! I hopped over to Etsy to see if any of your creations are for sale. It looks like your work is for sale at SoftnCuddlyCreations. Is this your shop? I would like to support your efforts as you already offer so much for free. Thanks for all you do! Absolutely adorable! I've been busy making winter hats but these will be next! Thank you for the free pattern! I AM looking for a ruffle diaper cover and matching cat hat if you have this will you email it to me at [email protected] I would really appreciate it. Maybe I am over thinking or missing something but the stitch count is 22 at the end of the first round and then 33 at end of second but I am only getting 31 DC? I am sooo new at this. Would the base of this hat work fine to make toddler size Minnie Mouse hat? I made the Minnie mouse hat for my new grandaughter, but her sister just turned 2 and I need 1 for her also. This is my 1st of any clothing. Ty for the patterns, My minnie mouse hat is great,thanks to you. No clue what I am doing wrong, but following the pattern for 6-9 months, I have a hat that will fit my head? This is my third attempt at making it and I end up with the same thing each time. That is odd. I think that maybe your hook gauge is too big for this pattern. try going down a hook size and maybe you accidentally reread a couple of rows. 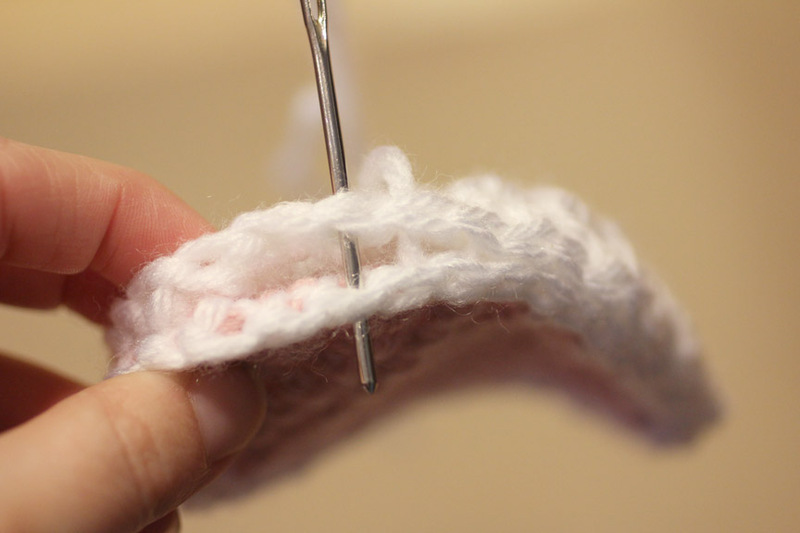 Another good tip is to count your stitches. Make sure you read the pattern carefully. I have never had this problem with her patterns so there is something wrong with your sizing. I hope that this is helpful for you. 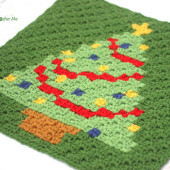 Thank you for posting this adorable pattern. I’m using the toddler/preschool pattern and the right size crochet hook and yarn, and the stitch count is correct. It seems way too big to me though. It fits my head, and I'm an adult. That can’t be right, can it? Please, help! Me again. I just noticed that although they're both listed as worsted weight yarns, the gauge for the yarn in the pattern has 12 st. on a J hook for 4 inches, and the gauge for the yarn I'm using has 12 st. on an I hook for 4 in. If I use a hook one size smaller than what I'm using for the pattern will that fix it? Thank you for great posts. I love this pattern! It is due to you that I am now able to make invisible hat seams consistently!! Hello. 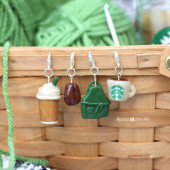 I’m susanna Kim, a Korean knitter in Daegu, Korea. Many korean knitters who I know want to read and crochet english patterns, but they don’t read so many english patterns. So If you may permit to translate your english patterns to Korean language, I will post your english patterns which traslate to my personal blog by your permission. I will link your blog or tell all patterns in your blog are your copyrights. Please reply your comment to my email, [email protected]. From Susanna Kim, in South Korea. Ears are also good for the police dog on Paw Patrol. 🙂 I’m making a hat for a 2 yr old and these ears are the perfect size when using a 4.5 hook and worsted weight (something thick and sturdy like Red Heart super saver). Hi there, just became aware of your blog through Google, postwholesale nfl jerseysand found that it is truly informative cheap nfl jerseys. I am gonna watch out for brussels. I will be grateful if you continue this in future. A lot of people will be benefited from your writing. Cheers! 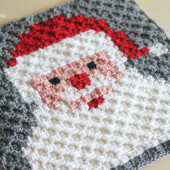 I have self taught myself to crochet using your site.. thanks! Has anyone had a problem with the ears? I stitched a pipe cleaner in between the layers, but I can not get the ears to stand up, they fall forward, or backwards…..any hints or tips? This is really great content, especially if you like these sort of things with credit scores. Thank goodness the brain has a primary capacity to be organized, plan, regulate our emotions and impulses, and keep us on track to get through to-do lists and meet our goals. This capacity is highly polished in the workplace (although often at the expense of other capacities described here). Those among us with attention deficits need to work harder to build self-regulation skills, and to learn to set aside disruptive emotions, impulses and distractions so that we get the important stuff done. Executive function gets a powerful boost when we tame our frenzy, exercise regularly, sleep well and eat a Mediterannean diet. Wow! Nice winter collection, I will make it own. I know this is old but you wouldnt happen to still have a guage for this pattern would you? Trying to figure out how you put the pipe cleaners on the ears. Thape still flop over can yo explain how to put them in & is it in the way you sew them on? I was able to follow your directions easily, but I’m unable to make the ears stand up. After I see them on, they flop over right where I attach them to the hat. Any suggestions? Do you go through both loops or back loop only? Using these ears to make kangaroo hats! Looking so good. Thank you! 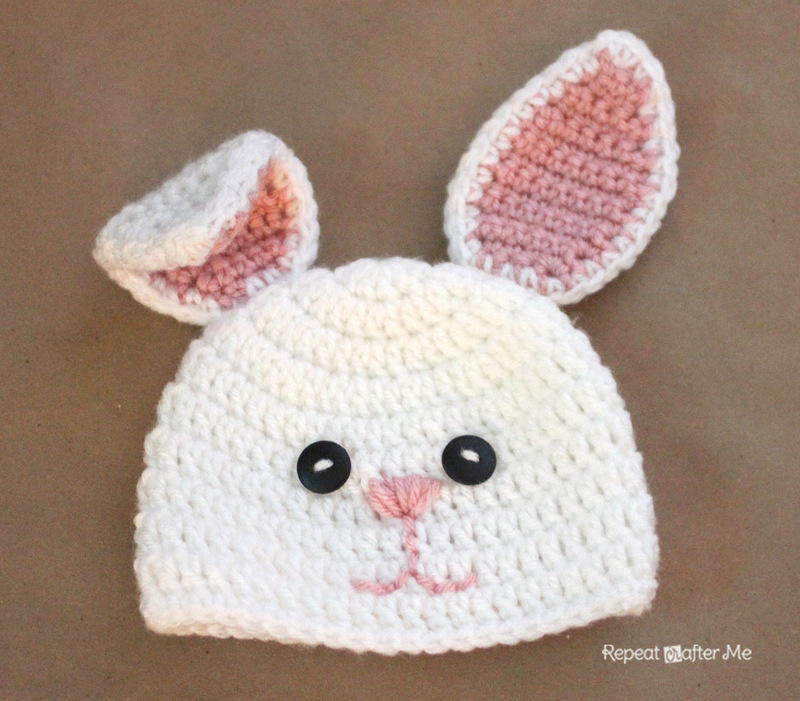 Hi I realized your bunny ears same pattern on homemade giggles it’s same Paw Patrol hat pattern that’s free on Pinterest as yours . I’m making that Paw Patrol hat pattern but couldn’t figure her instructions out at all about ears but it’s same way as your bunny ears. Thanks for your easy ears instructions not many people’s patterns on anything especially on hats on Pinterest not correct. I’ve had unravel many many times but not off your patterns. Thanks for free patterns . I’m on small income i cannot buy patterns . I’ve made my own or I had make lots changes from other people’s patterns was either too short or not wide or just completely wrong all over whole pattern . Again thank you!!! Do you have a video on how to make the bunny ears?